Peterhead Port Authority is set to support the start of offshore construction work for the European Offshore Wind Deployment Centre (EOWDC) after signing an agreement to harbor the suction bucket jacket foundations for the 11-turbine scheme. The contract will see the port moor one of the world’s largest floating cranes, with a maximum lifting capacity of 5,000 metric tons, and up to six barges that will transport the 11 foundations - the heaviest of which weighs around 1,800 metric tons and is about 77 meters high. Peterhead Port Authority will also accommodate two supporting offshore construction vessels while a project site office will be established at the harbor for the installation operations which are due to start later this year. Swedish energy group Vattenfall is developing the EOWDC off Aberdeen Bay. 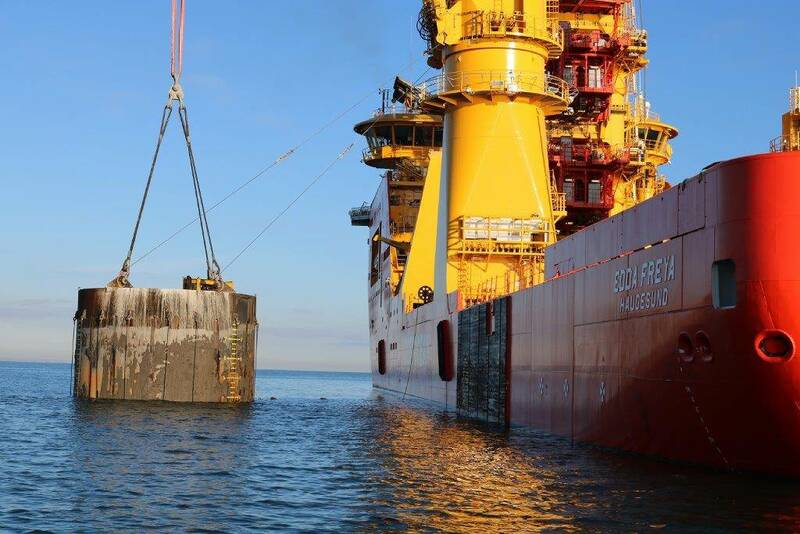 The contract for Peterhead Port Authority was awarded by Boskalis which is Vattenfall’s key supplier for the offshore construction and installation including the foundations and cabling. 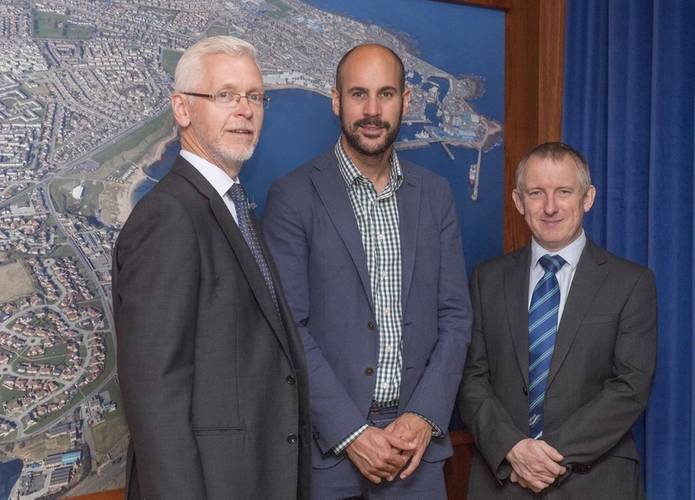 Ian Laidlaw, chief executive at Peterhead Port Authority, said, “The Port Authority is very pleased to be able to play a key role in the EOWDC project as it emphasizes Peterhead’s experience and the range of services that the Port can offer. It also provides important opportunities for our established supply chain partners. Minister for Business, Innovation and Energy, Paul Wheelhouse, welcomed the announcement: “This is great news for business in Peterhead, and an indication of the port’s growing reputation as a place which can accommodate some of the most challenging and cutting-edge offshore construction requirements, which is thanks in part to a recent £5 million Scottish Government investment to modernize the port, which we announced in December. 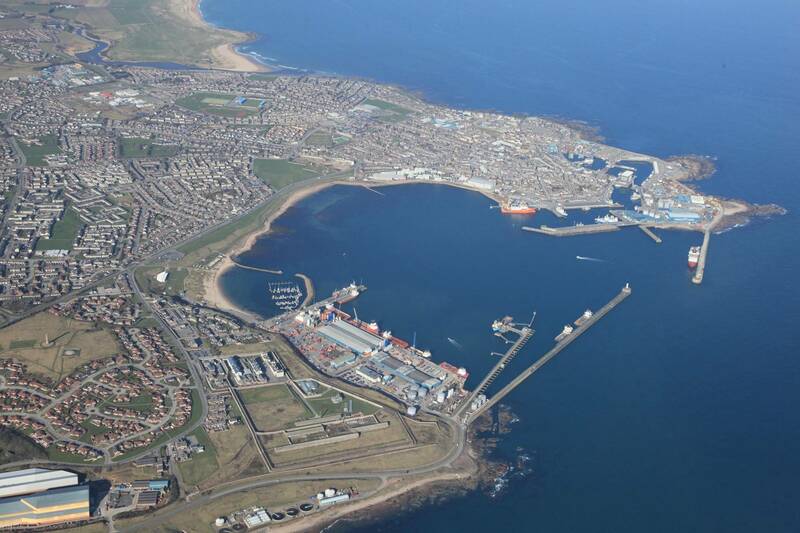 Peterhead Port becomes the latest harbor in the North-east of Scotland to provide key support for the EOWDC. Last year, Vattenfall invested in leases totaling 24 years with Aberdeen Harbour Board to establish a base at Regent Centre for its construction team and a warehouse unit at Commercial Quay which will support the lifetime operations of the project. The foundations will be transported to Peterhead for mooring via the six barge vessels, five of which will carry two foundations while the sixth will transport the final one. The installation vessel will be moored alongside the barges for heavy-lift operations. When offshore work starts, more than half the foundations will be installed under the water within the seabed. Peterhead Port is to support the installation operations for at least four months with the offshore work expected to take around four to six weeks. The EOWDC is believed to be the first U.K. offshore wind project to deploy suction bucket jackets of this kind on a large scale. Through being paired with one of the world’s most powerful turbine models, they also represent an industry first. The buckets enable faster offshore installation of the EOWDC, while keeping noise to a minimum, and allow easier decommissioning as the installation process is reversed. As such, the technology will contribute to driving down the cost of clean power as offshore wind moves into deeper waters and more complex seabed conditions.